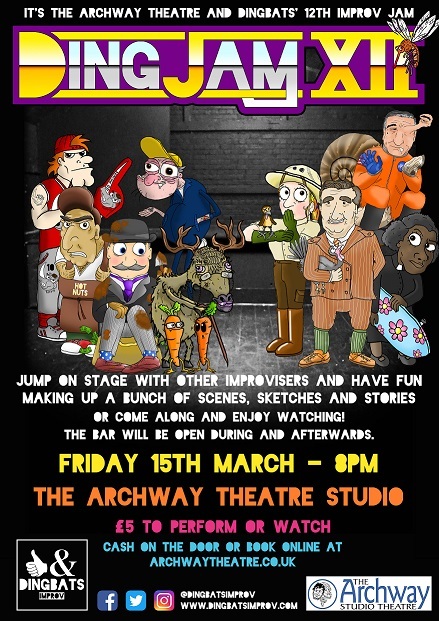 It's time for the twelfth improv jam at the Archway Theatre Studio in Horley! The Archway Theatre and Dingbats present DINGJAM XII - A fun show of improvised games, scenes and stories all made up on the spot. Anyone can turn up, jump on stage with other improvisers and have fun making stuff up OR have a fun evening out and enjoy watching! The bar will be open during and afterwards.